1° Day 12.00 Meeting 12.30-13.30 Lunch 13.45-15.00 Theory 15.00-17.00 Demo + Drive with the instructors 17.00-18.00 Pendolum 18.00-18.30 Theory 20.30 Dinner 2° Day 09.00-10.30 Theory (Tyres + car’s set up ) 10.30-10.35 Group Photo 10.35-11.00 Pendolum 11.00-13.15 Telemetry 13.30-14.30 Lunch 14.45-17.00 Demo + Drive with the instructors 17.30 End of course Need infos or want to make reservation? Use the form on the left or click here! 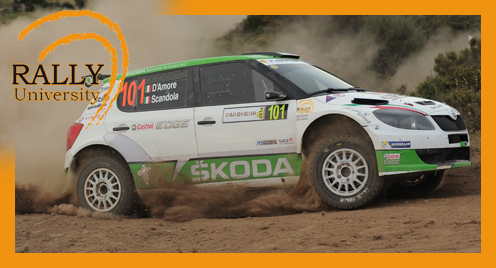 Our experience for your passion with rally courses made to transform your driving skills in a perfect competitive activity!